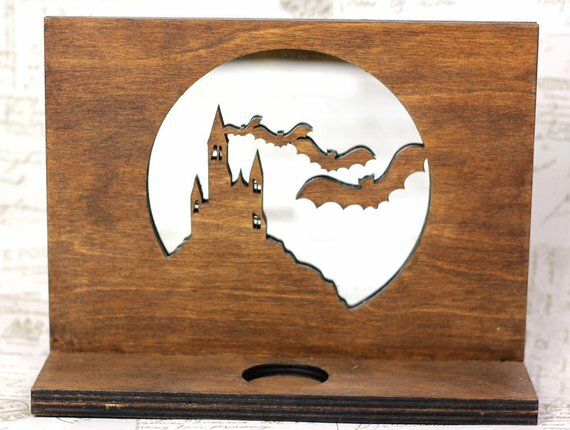 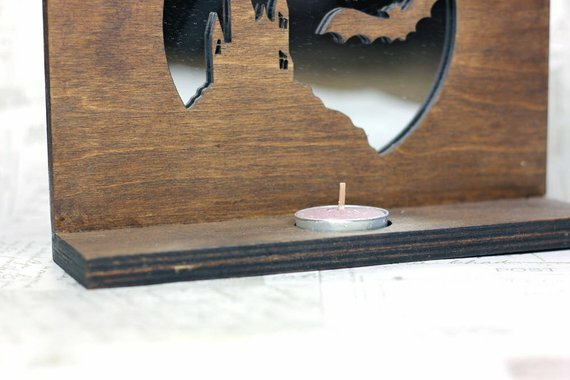 This is a mirror in a wooden frame with the cut-out image of bats flying from a spooky castle. 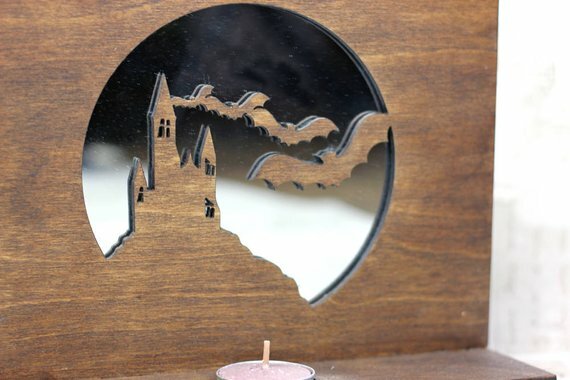 The mirror is designed to sit on a shelf with a candle in front of it. 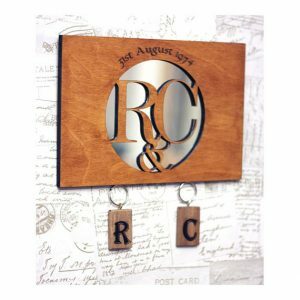 A hook can be supplied so this can be hung from a wall creating a combined mirror and sconce, please choose this in the options. 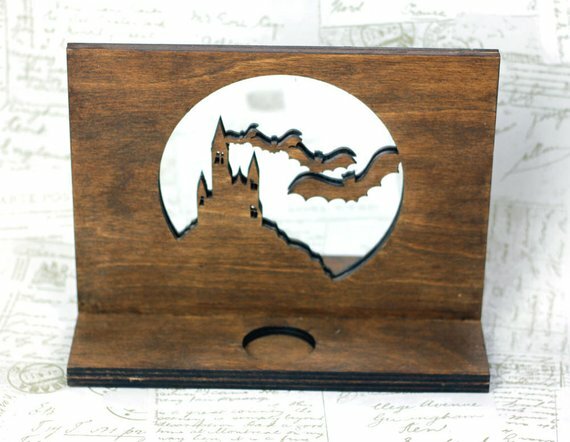 This is great gift for someone interested in bats, witchcraft, Wicca or Gothic decoration. 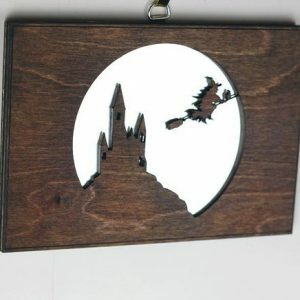 This will be made to order and I can create bespoke mirrors, if you have an idea request a custom order and we can discuss your requirements.